For our decorations I have printed some smaller hearts, about 5x5 cm in size. Just cover prints with some parchment paper and use hot glue gun to trace the shapes. While its in cooling mode I have sprinkled some red glitter on it and then left it for about 15 min to completely cool down. 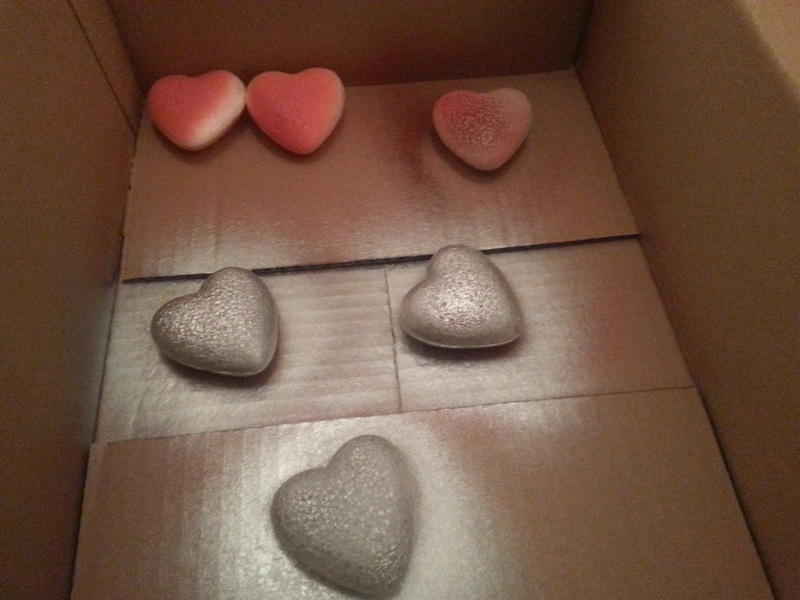 I have purchased some plain white styrofoam hearts online, perhaps you can find them also in your local craft store. On them I have used some spray paints - make sure you are doing this either outside or having all your windows inside open! Just use any colors you wish, I have used red and silver metallic. Such beautiful DIY valentine's décor stuff! I am so pleased to know these wonderful ideas. I would like to use these ideas for our wedding anniversary party decorations. At the domestic venues in Houston we will host this family party. Thanks a lot for such inspirations!